E-SSOM allows employees to login just once and thereafter gain access to all applications that they require, eliminating the need to remember multiple credentials. Employees and IT staff at All Star no longer have to spend countless hours on password management issues. 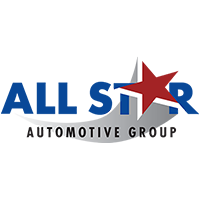 All Star Automotive Group is the largest automotive group in Louisiana with 13 dealerships and 6 collision centers. The company sells both new and used cars representing 14 manufacturers, and also handles part sales and service. All Star employs over 700 people and has grown steadily since 1987, purchasing, on average, one dealership every two years. Working in a fast paced environment, employees at All Star, in every position throughout the company, needed to login to several different applications quickly in order to perform their jobs. Each employee needed to remember login credentials for 9 or more applications, which became time consuming and frustrating. Mike Lee, IT manager at All Star Automotive Group said, "Password management for users was becoming quite a task." Password issues were taking valuable time away from employees and IT staff, so All Star needed a way to automate this process. Lee had previously used Tools4ever products for over 10 years at several other companies and was familiar with their products and customer service. Due to this positive history, Tools4ever was a first choice for him when looking for a password management solution to their problems. A major requirement that All Star had was that the solution must work with two primary applications from ADP; CRM and their dealership management system Drive (DMS), which are utilized by every employee in the company. These systems are used for everything in the dealership from sales and parts to services, so it was critical that the solution work flawlessly with these applications. "Users can now concentrate on their jobs rather than managing their own passwords. E-SSOM has streamlined our workflow!" Now with E-SSOM, employees at All Star Automotive are able to login just one time. Once the end-user has logged into the network, E-SSOM takes over the log-in process further and initiates an automatic login to all the applications and systems to which the end-user is authorized. Employees no longer have to remember multiple credentials and spend time logging into each application, or worse contacting the help desk when they forget a password. As well as the ADP applications, E-SSOM is set up to work with over 10 other applications at the dealership. Some of these include; An appraisal solution- which is used to manage and appraise used car inventory, Dealer Track - which pulls customer credit reports and submits applications and the State DMV where they register and issue temporary license plates. With E-SSOM, All Star Automotive has seen a major time savings of password resets both on the administrator and the user sides. "Users can now concentrate on their jobs rather than managing their own passwords,"" said Lee. "E-SSOM has streamlined our workflow!"